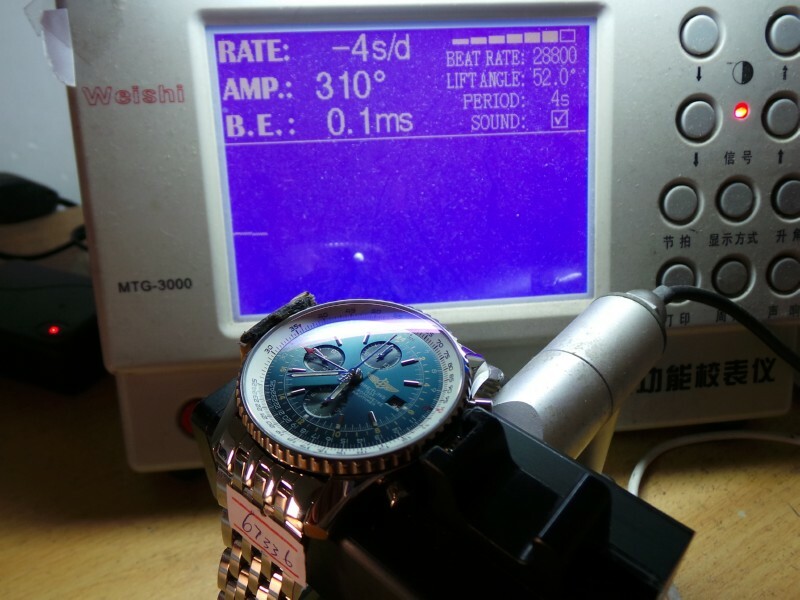 Today comes another 1:1 replica watch, which is Breitling Navitimer World GMT replica, it is made according to a genuine Breitling that is completely torn down. 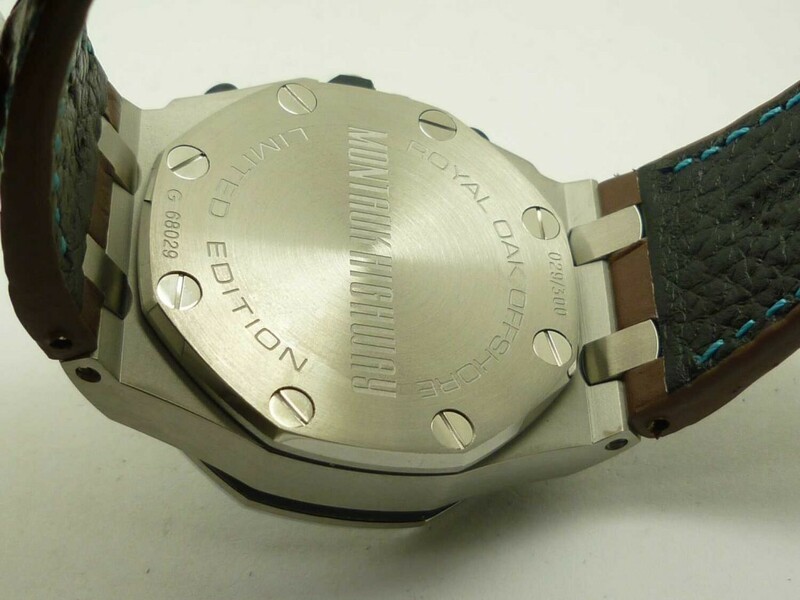 Earlier versions of this watch are replicated from pictures and imagination. 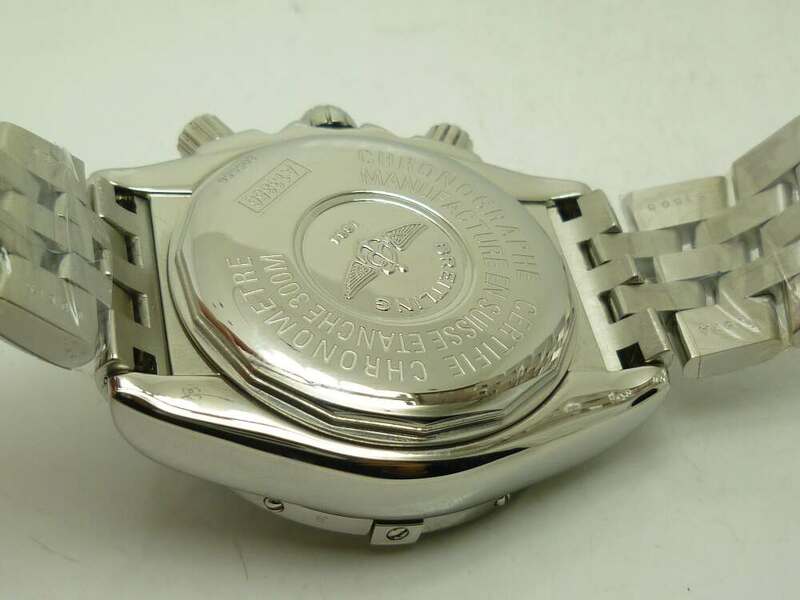 The replica Breitling watch is full stainless steel made, including the bracelet. The case is carefully polished, especially the lugs, they have obvious edges and corners that you can feel as smooth as gen. 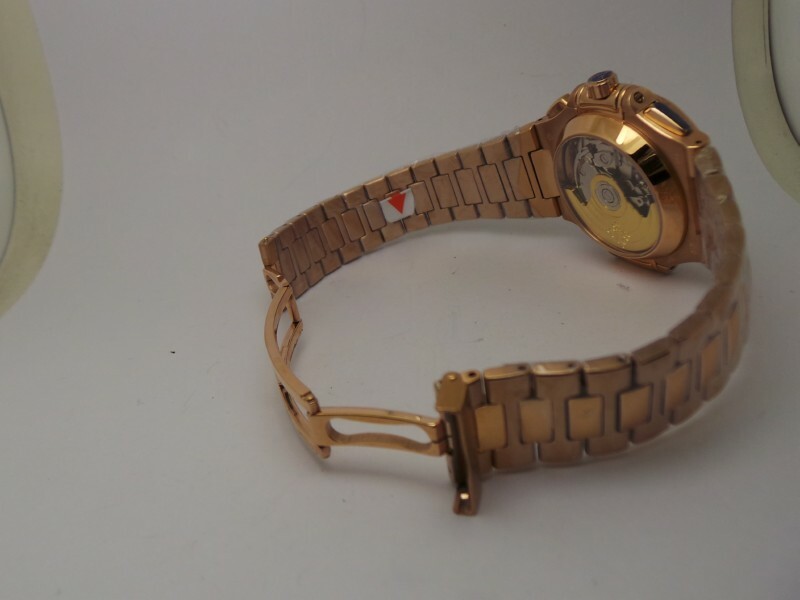 The junction metal part between case and bracelet connects them well, it will not be broken even the watch falls off on the ground. 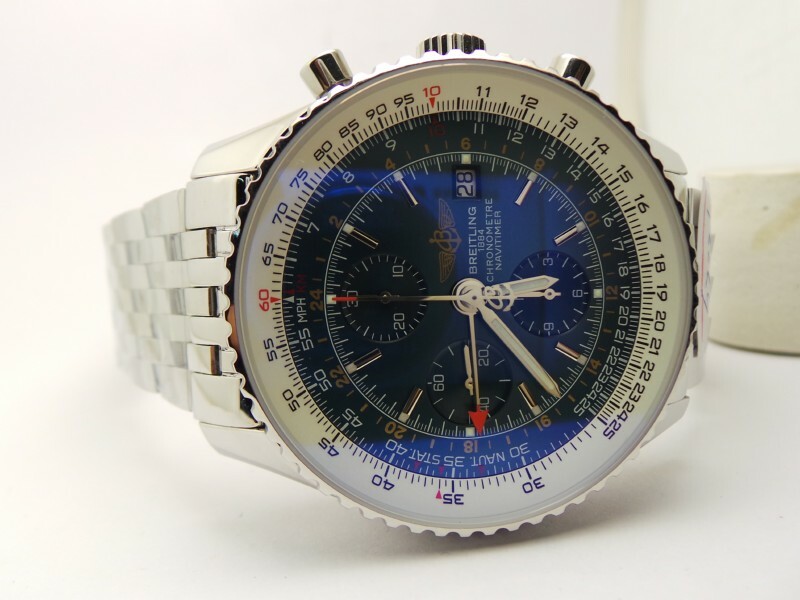 The dial of this replica Breitling Navitimer GMT watch is blue, it has so much information displayed that makes these details hard to be replicated. 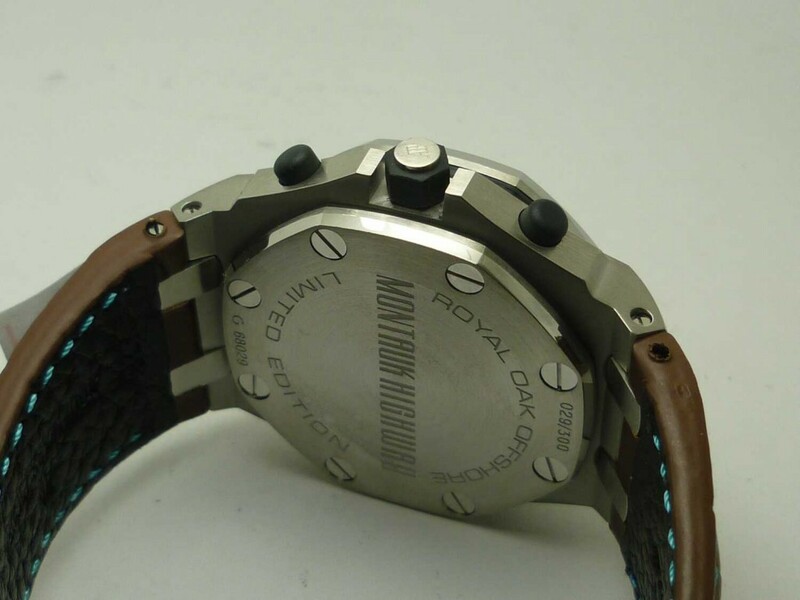 The subdial at 9 displays small seconds, hour and minute chronograph counter are positioned at 6 and 12 separately. A small date window in white background featuring black date font is at 3 o’clock. 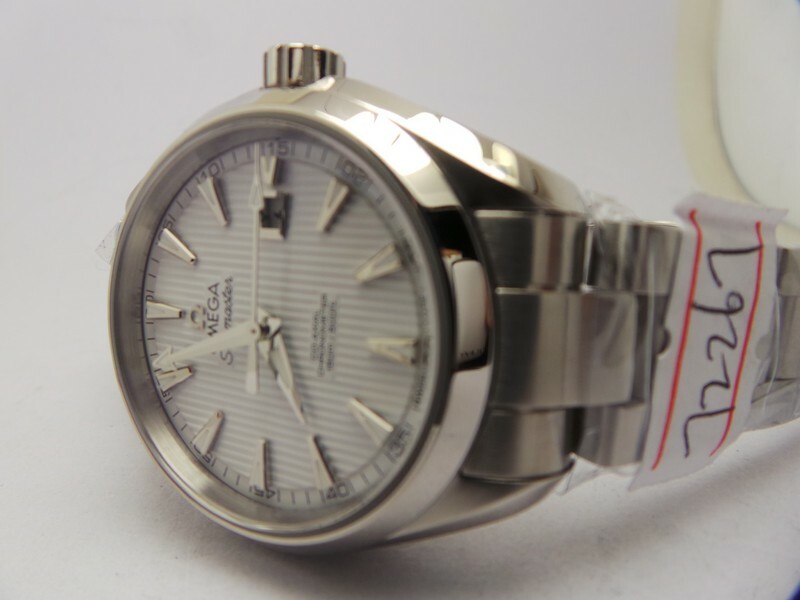 The central hand with red tip is for GMT hand, which can be adjusted through the crown. When pressing the chronograph button at 2, the central second chronograph hand starts to running, when pressing it again, the hand will stop, when you press the button at 4, the chronograph will be reset and the hand back to zero. 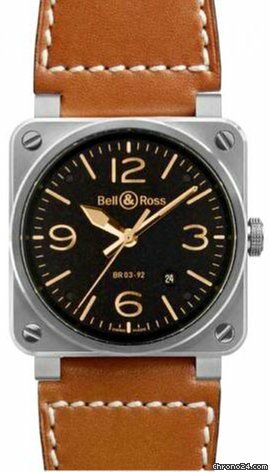 The bezel is bi-directional rotating, slide rule inner bezel has the same function as gen. 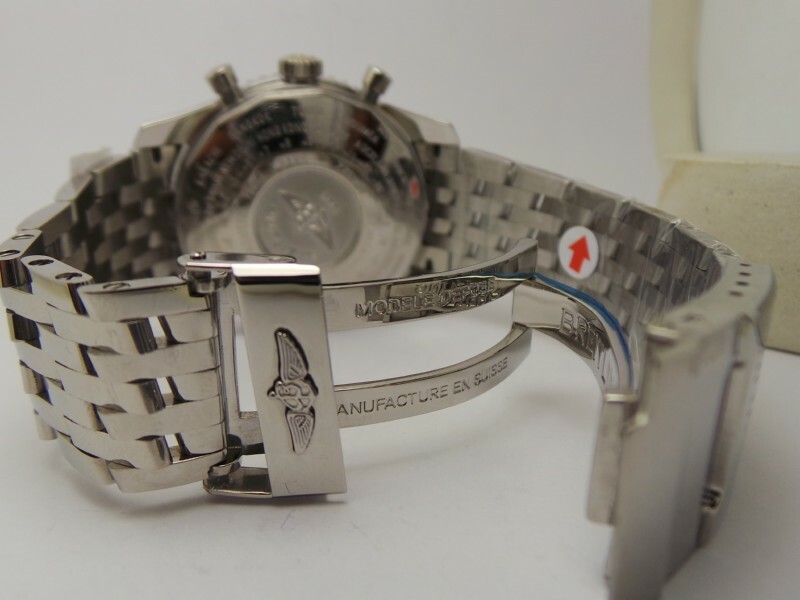 Among all bracelets used on Breitling replicas, the most favored ones are this of Navitimer and rubber band of Avenger. 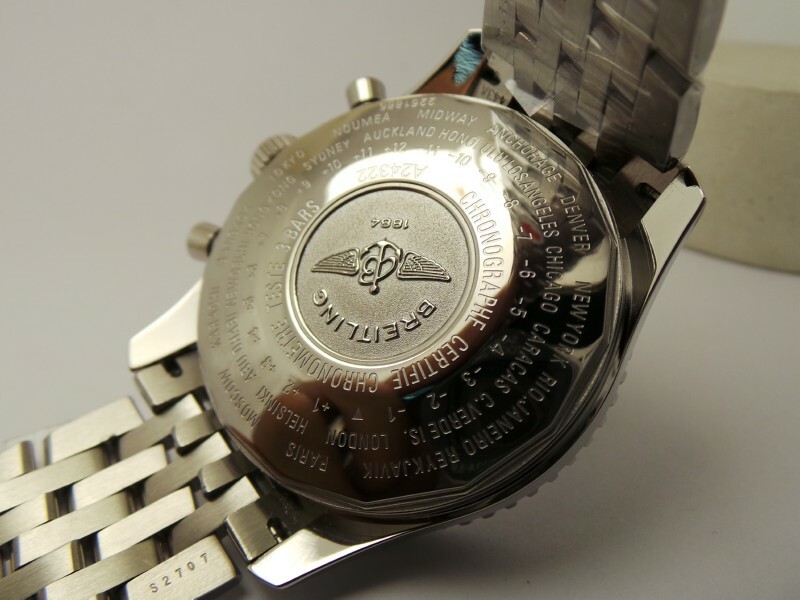 The links of this replica Breitling Navitimer watch feel solid, you can directly feel them with hands, the engravings on the clasp are laser made according to genuine, caseback also has informative details engraved, which you can read all information about the background of the watch. 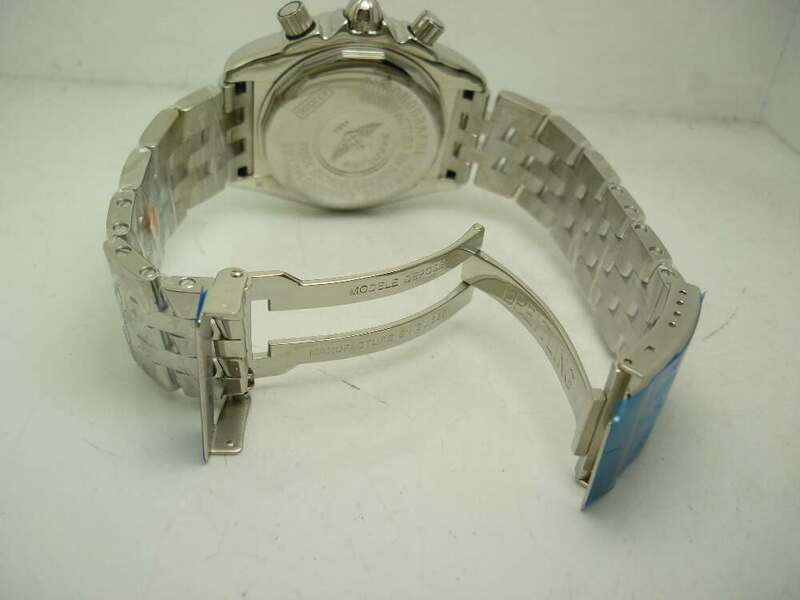 The bracelet, I noticked, is not perfect, the gap between links are too large, they are not that tight on genuine Breitling, when it comes to the movement, the replica Breitling watch uses a newly improved Asian 7750 movement, it is well fixed inside the case by metal ring, the movement plates have excellent fish scales pattern polished, which is also called geneva stripes. 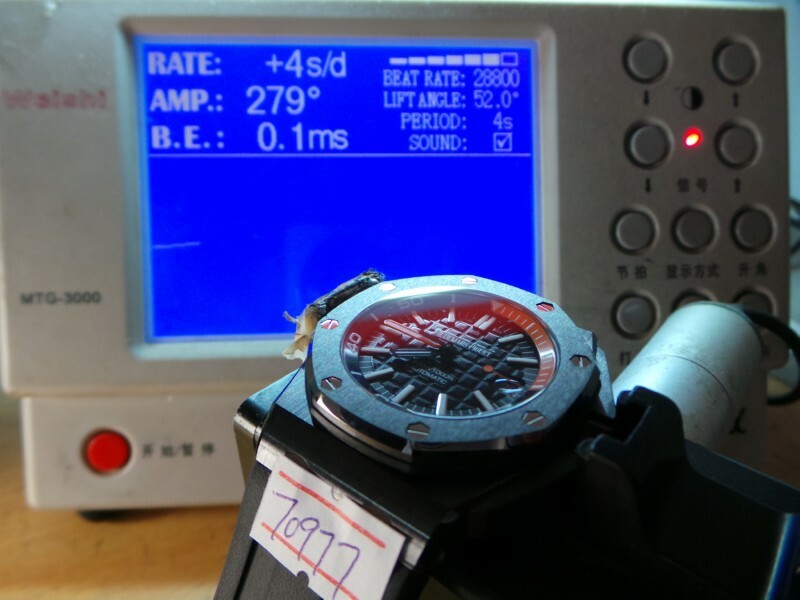 The Secs@9 7750 movement used on this replica is more stable and durable than the Secs@12 7750 used on AP replicas. 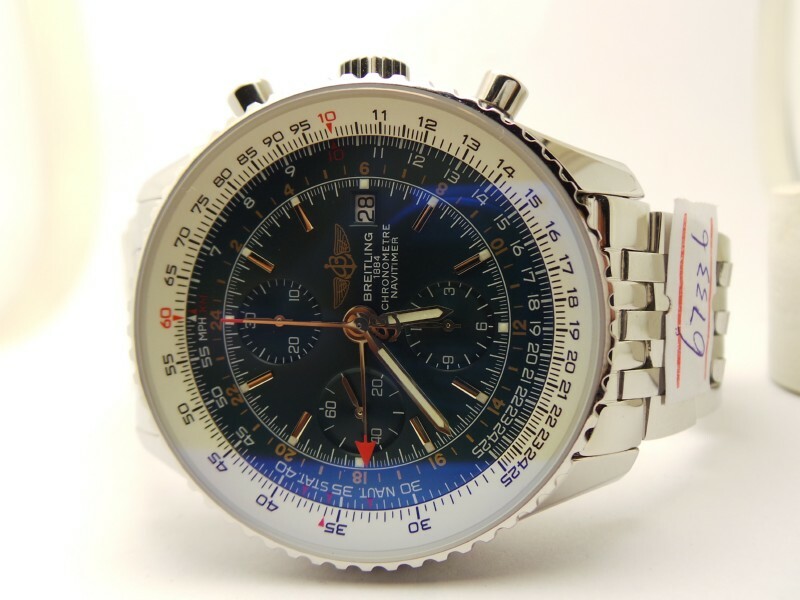 If you like Breitling, the watch will become your favorite and you won’t regret buying it. I have to say that Breitling Chronomat Evolution is one of my favorite Breitling replicas besides Navitimer and Super Avenger. Exactly Chronomat Evolution is very close to Avenger in appearance. They are big guys made of solid stainless steel, the case construction is compact, it is an 1:1 replica, the case has perfect polished arc lines, lugs have corners and edges that are exactly replicated according to genuine, great hand engraving on bezel, the pearl at 12 is an iconic feature of this Breitling Chronomat Evolution replica. 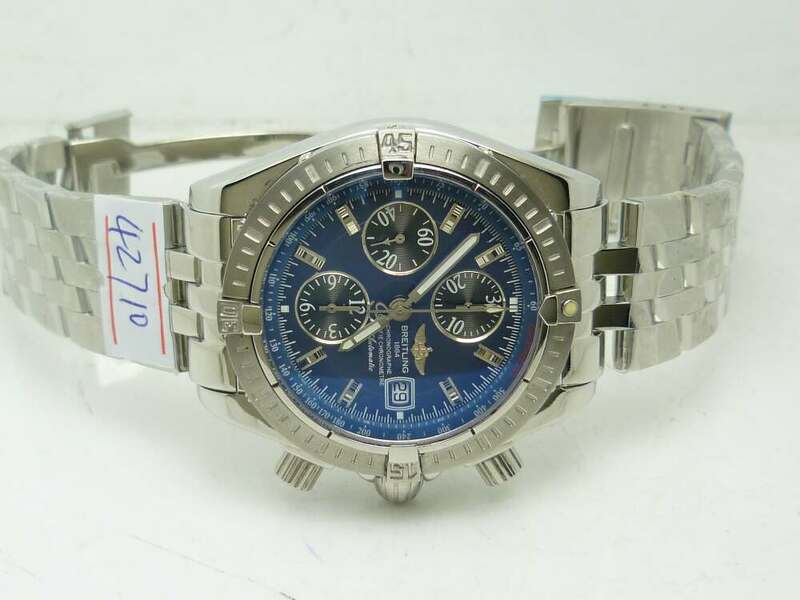 The bezel of each brand watches is different in style, so is the replica Breitling watch, whose engraved diving scales and pearl lume color are just replicated according to genuine watch. 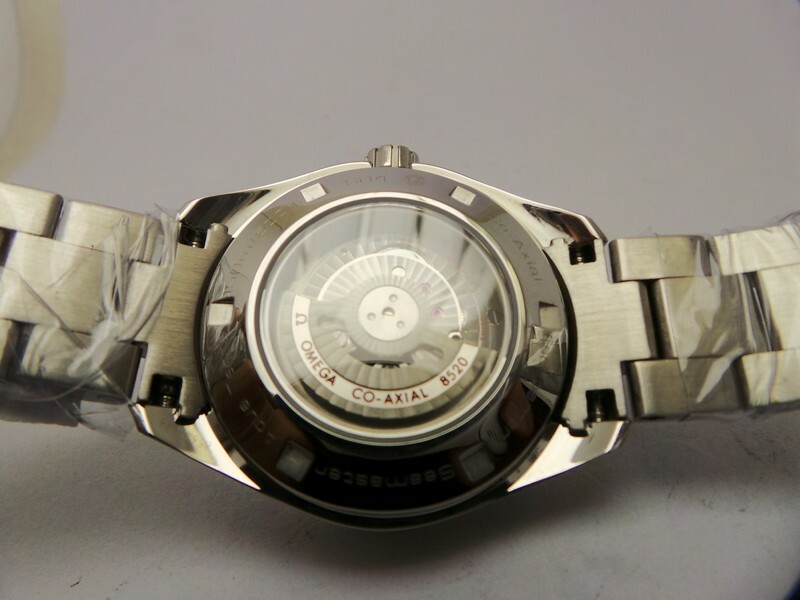 Not too many people can identify it as a fake bezel, it is also very convenient to operate under water with four metal sheets fixed on the bezel. 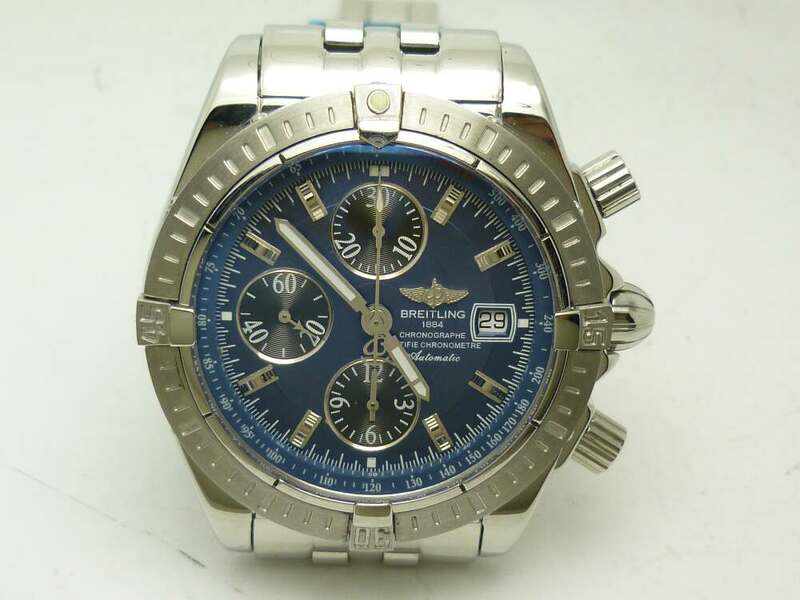 The Breitling Chronomat Evolution replica watch has a blue dial with chronograph subdials and date window. The hour markers have no luminous material coated on surface like those Avenger models, subdial at 9 displays small seconds, 30-minute chronograph counter is positioned at 12 and 12-hour chronograph counter at 6. 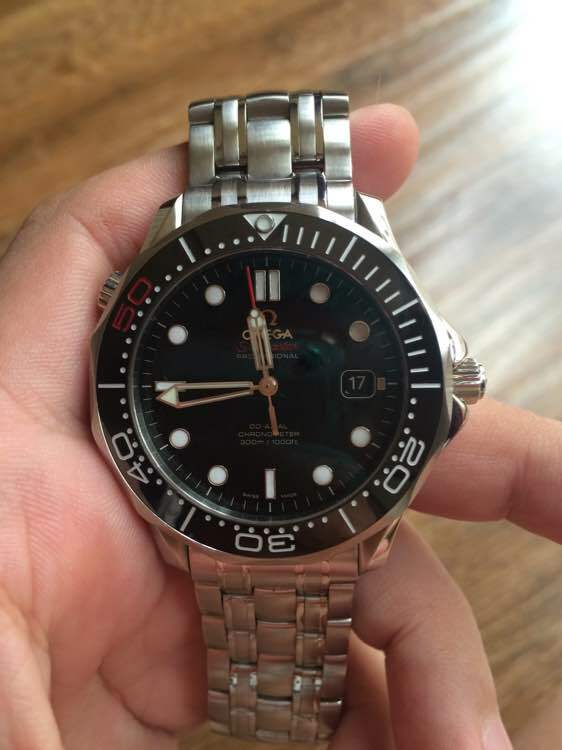 These subdials all have black background with white fonts, which gives people a high readability, the date is displayed in the window at 3, it has white background with black date font, which I think is a little thin on the replica, anyway, I do not mind these subtle details if the whole replica watch looks fine to me. 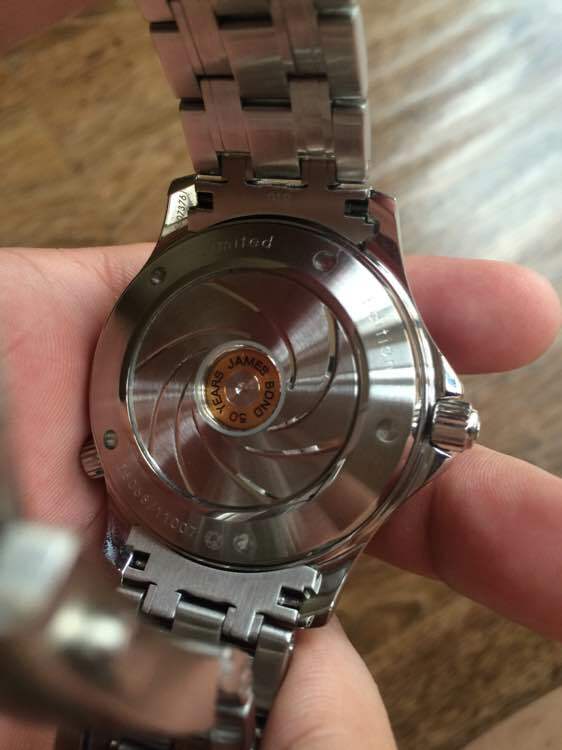 The movement is perfect in accuracy, see the picture below, it is only one second slower each day, other specifications also look great, besides the ETA 2836 and 2824, the Shanghai 7750 that is used to clone the Valjoux 7750 movement is the best and most stable movement used in replica watches. 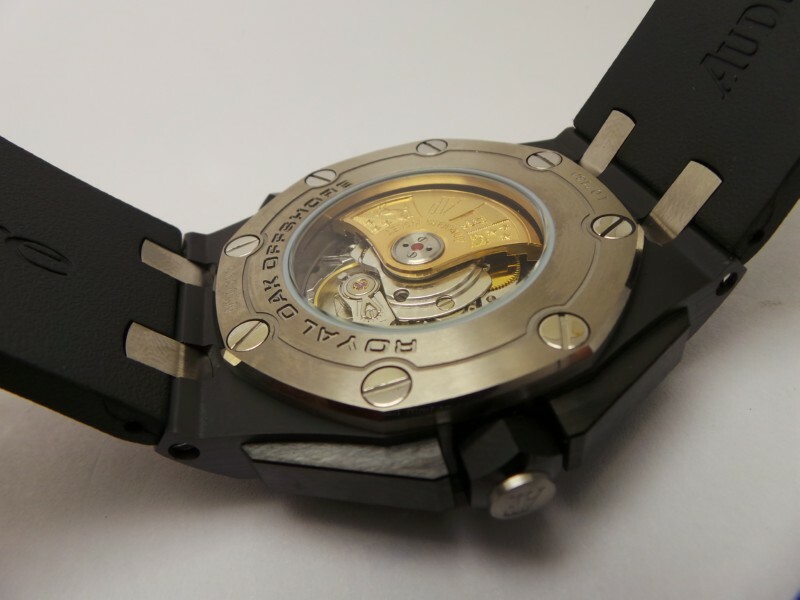 We will write some professional posts to give a full review about the movements used by replica watches. 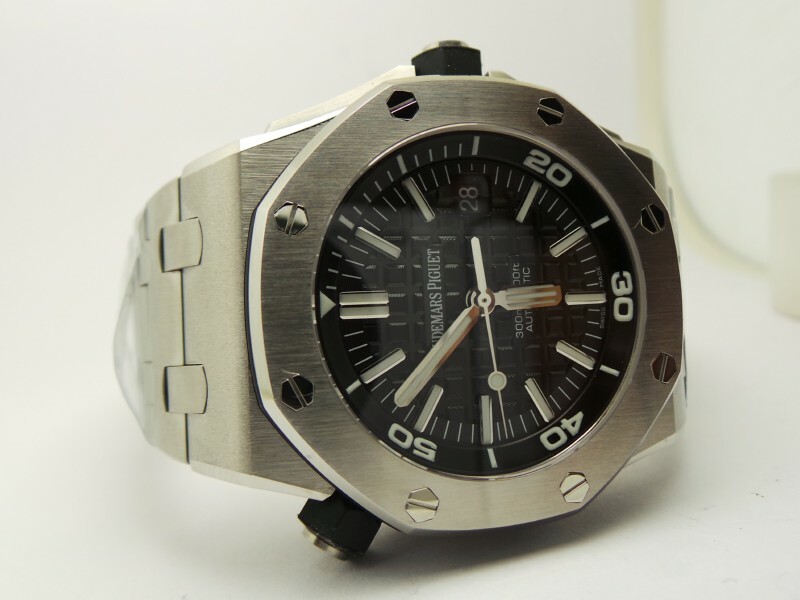 Here comes a replica review of Audemars Piguet Royal Oak Offshore Montauk Highway Limited Edition watch. 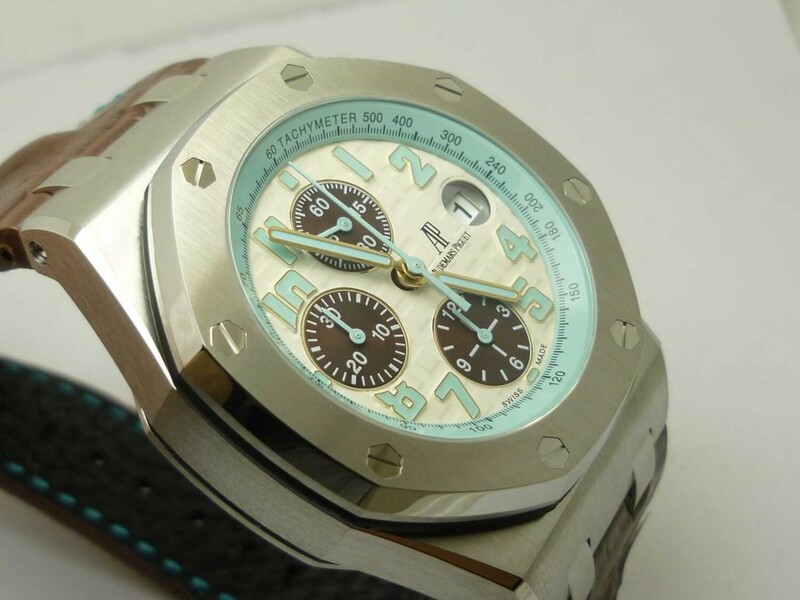 The light blue dial is its feature. 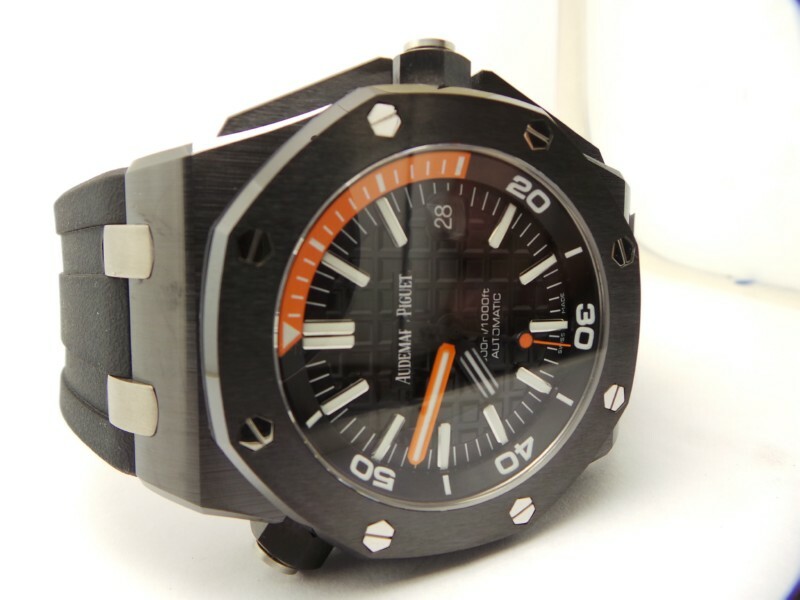 Not all people can hold this big guy, men who have large wrist are suitable to wear this watch, there are many improvement occured on this replica Audemars Piguet watch, it is the first AP replica with correct subdial position like the genuine, running small seconds at 12, the maker bought a genuine Montauk Highway Limited Edition watch to replicate. Eight screws connect the bezel to case back through the main case, tight and no gap, so water is not able to leak into. 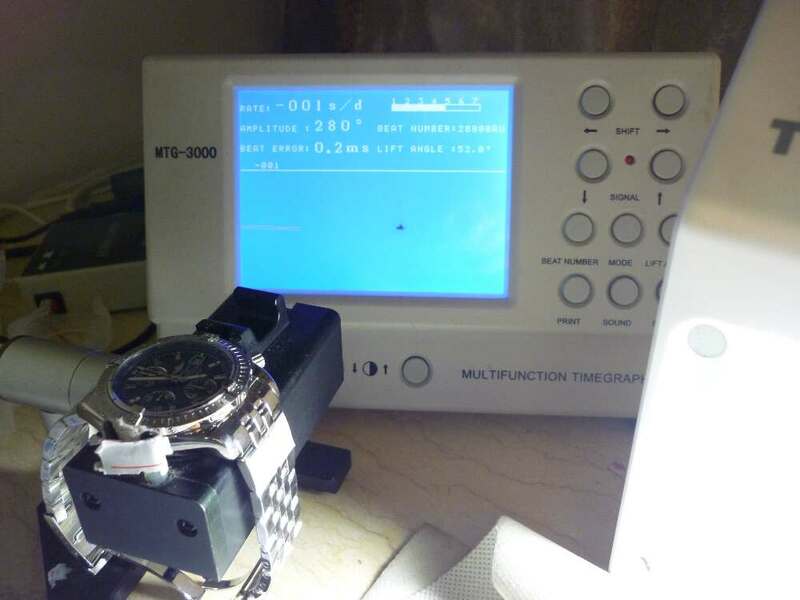 About the chronograph function of this replica, press the 2:00 button to start or stop chronograph function, when being started, the central second hand is running, press the black rubber button at 4 to reset chronograph, then the big hand will be back to 12 o’clock. 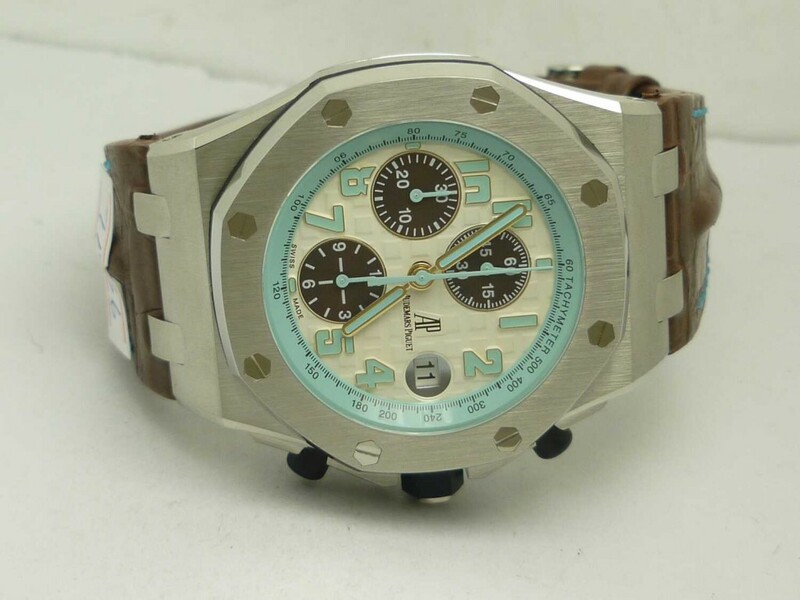 The main theme of this replica Audemars Piguet Montauk Highway watch is steel and blue, you can see blue markers, hands and inner bezel, very attractive, the hand stitching on dark brown leather strap is also in light blue color, which echoes with the blue details on dial. 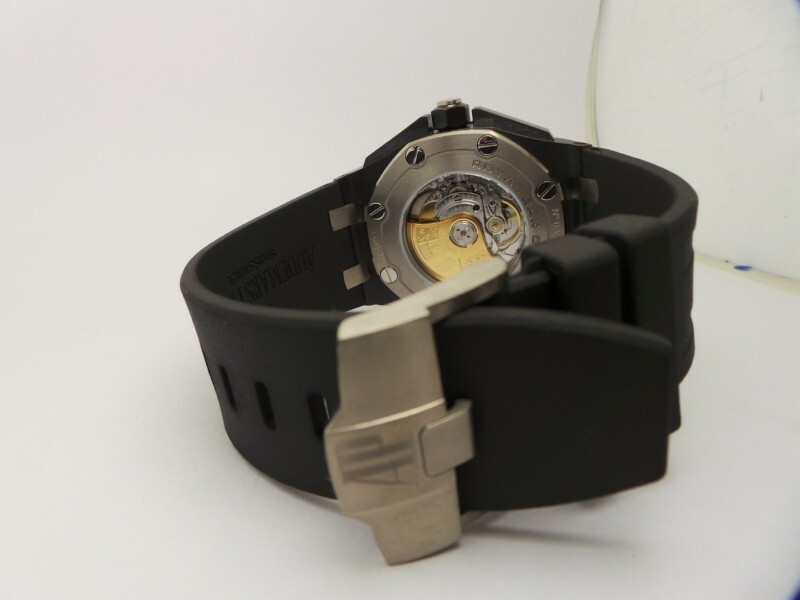 From the nice engraving and screws craftmanship, it is a high end Audemars Piguet replica, when opening the case back, the golden auto rotor has perfect AP log and image, newly improved is only 3 seconds faster per day. View from the testing screen , the replica beats 28800 times per hour. 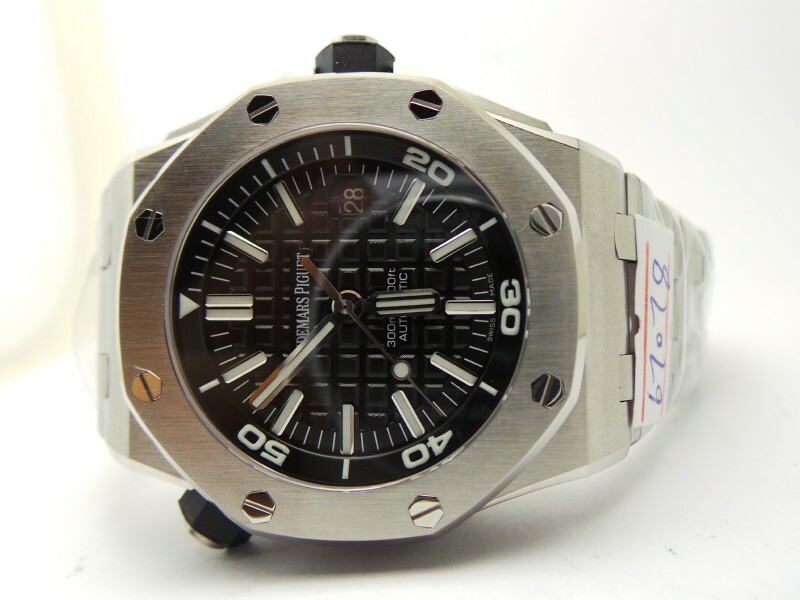 Whatever things you compare this replica Audemars Piguet Montauk Highway watch with the genuine, you will find they are very close, some places like dial grids maybe have different size, but few people worry about this, more people bought the replica watches concern whether it can last long or if they can appropriately fit their wrist. 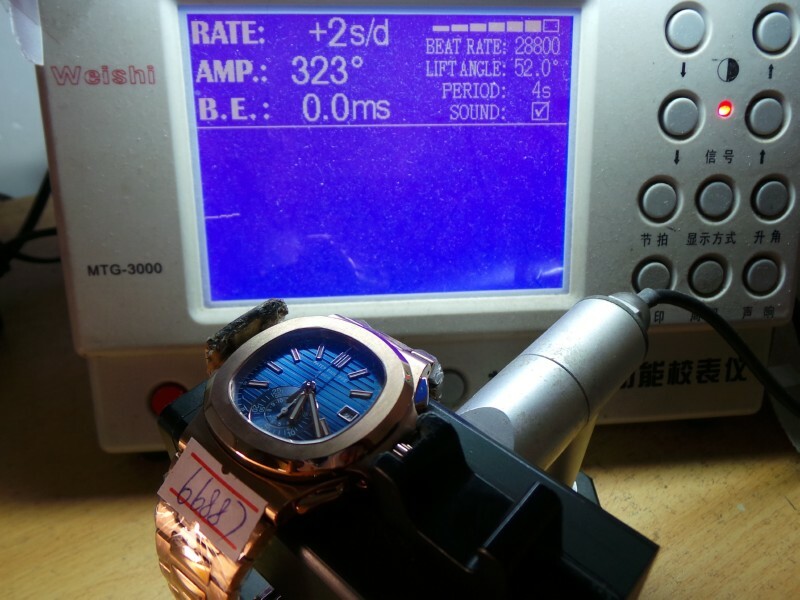 There must be one position for replica Patek Philippe Nautilus in the list of top 10 most accurate replica watches. Today, people who frequently talk about replica watches all have one top 10 list in their heart. 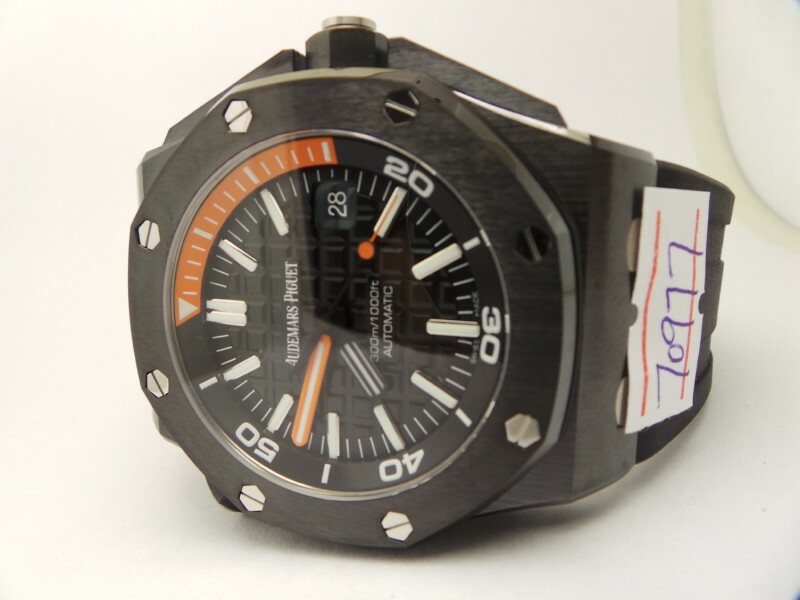 Among these watches, Audemars Piguet Diver from Noob and J12, Patek Philippe Nautilus and IWC Portofino from MK factory are all high end replicas, which are mostly purchased at home and abroad. 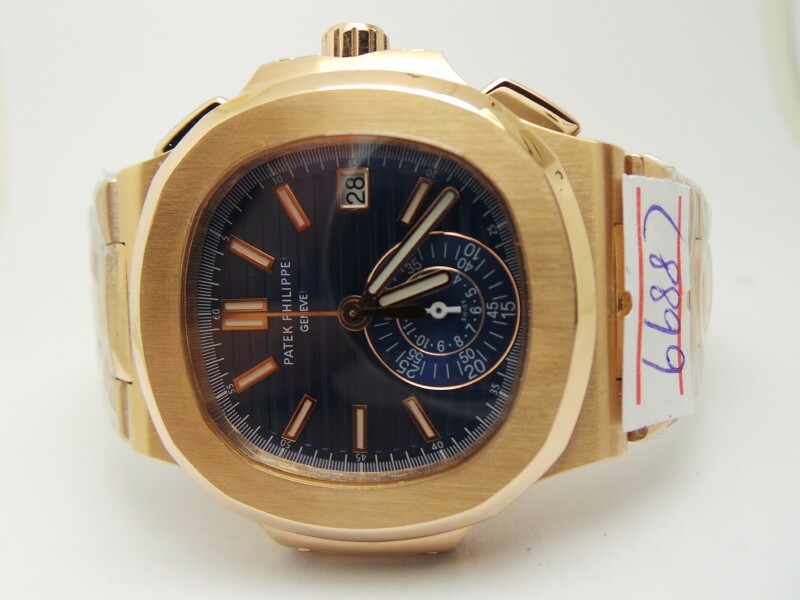 In fact, these closest replicas including this Patek Philippe Nautilus 5980 replica has one obvious feature, that is their dial is very simple in design so that the watch can be easily replicated according to genuine. 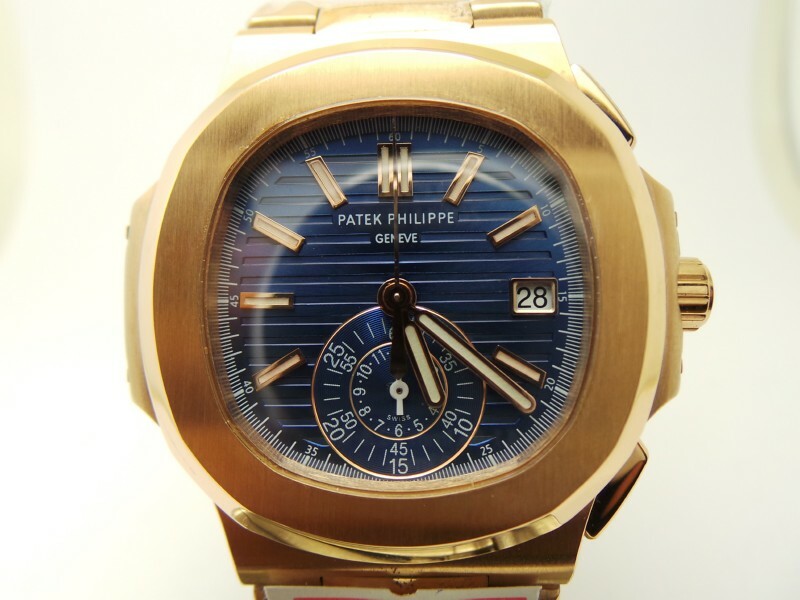 Taking this Patek Philippe rose gold replica watch for example, besides the stripes and subdials at 6, there are no other complex decoration on the dial, absolutely, the dial stripes are tells used to spot fakes by many replicas addicts, the minute and hour chronograph counter at 6 are indeed faux, not working, but other places like the external apperance, it is an 1:1 replication. 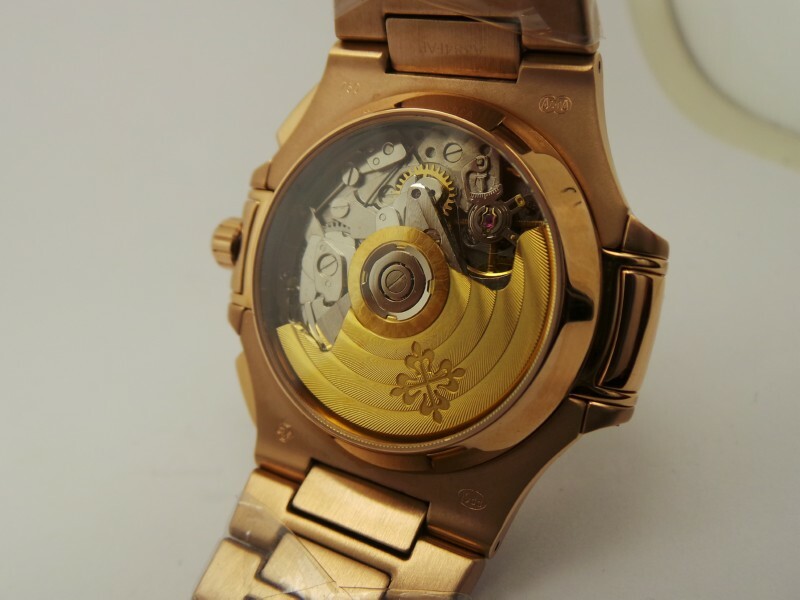 The case is made of 316F stainless steel, which is brushed and plated thick rose gold, about 5 mils, few other rose gold replicas have that thick gold coating. 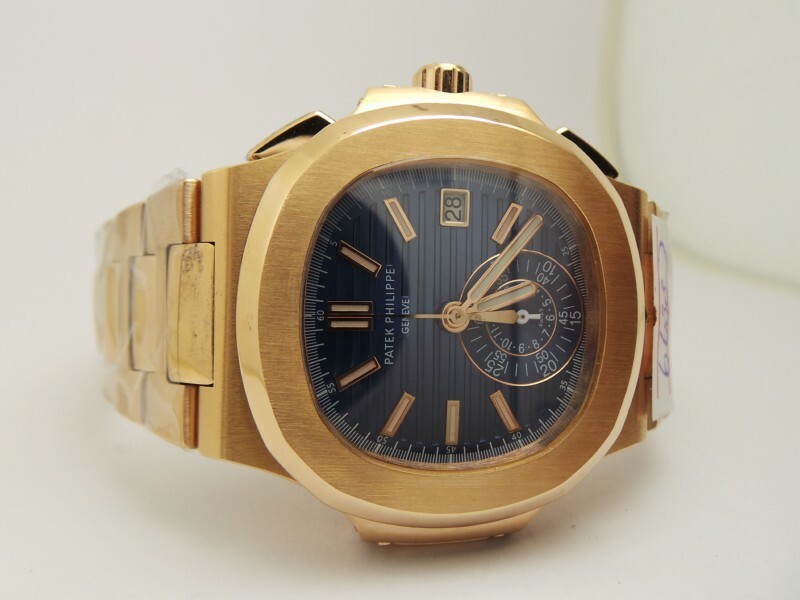 The Patek Philippe Nautilus replica is a full rose gold watch, the bracelet is also rose gold plated, with insignia double deployant clasp, each link that makes the bracelet is made of solid steel, you can feel the whole watch weight on hand, the crystal case back displays the movement clearly, the Patek Philippe replica watch uses an Asian 7750 movement, the golden auto rotor is in rose gold color that echoes with the golden case, the rotor is engraved with Patek Philippe logo that has clear engraving depth like the genuine. The movement is tested only 2 seconds faster each day, so very stable and accurate. 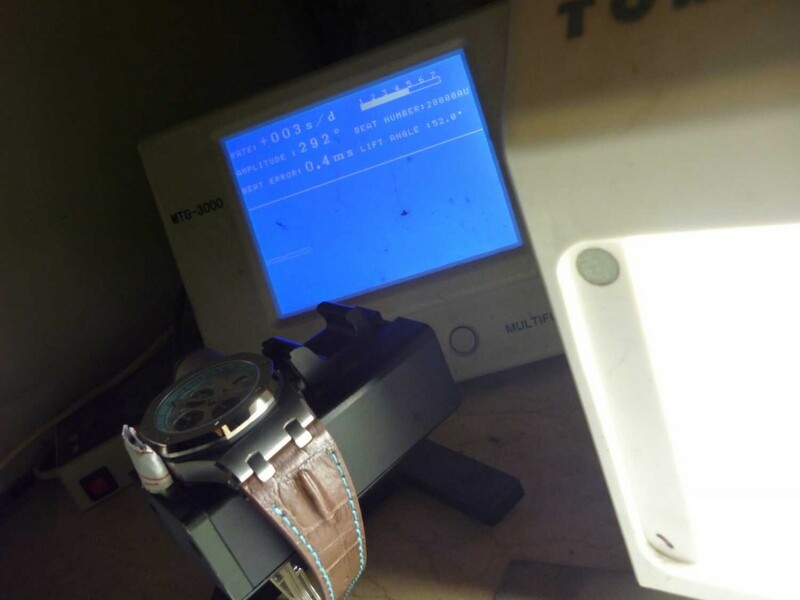 By the way, the hands and hour markers are filled with quality SuperLumed material, which emits strong green light in the dark. What watches will appear on the wrist of James Bond of the latest 007 movie, this has always been the hottest topic in watch world. 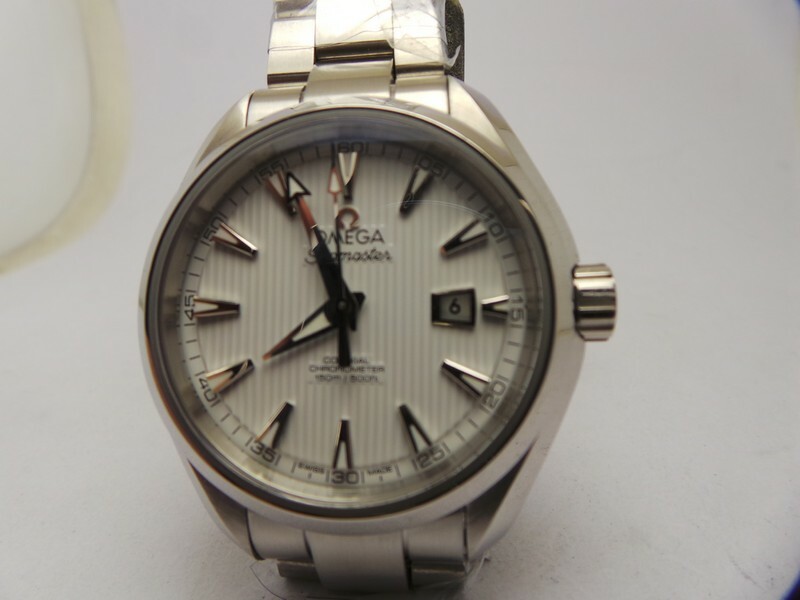 007 agent James Bond wore Omega watches in recent movies, there are several special edition watches which Omega has designed for him, each watch meets the movie theme and some of them even play an important role to save his life. 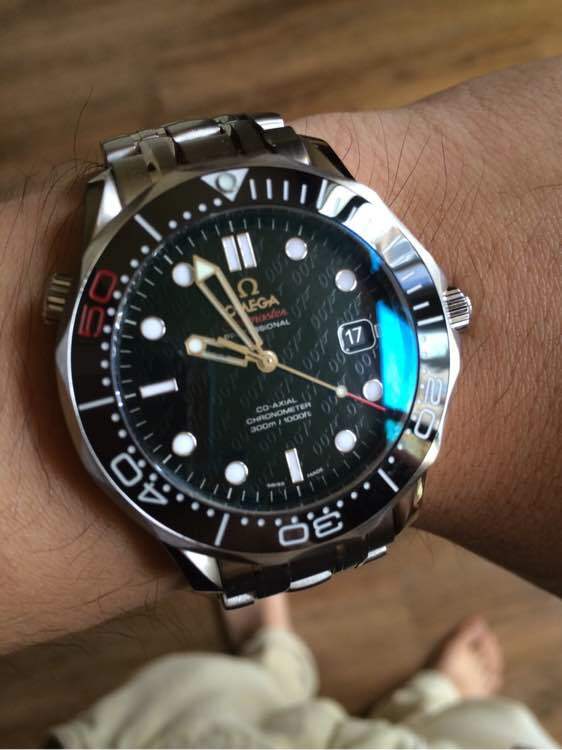 The watch I am going to introduce is a replica of Omega 007 watch, it is the James Bond 50 Years anniversary edition. 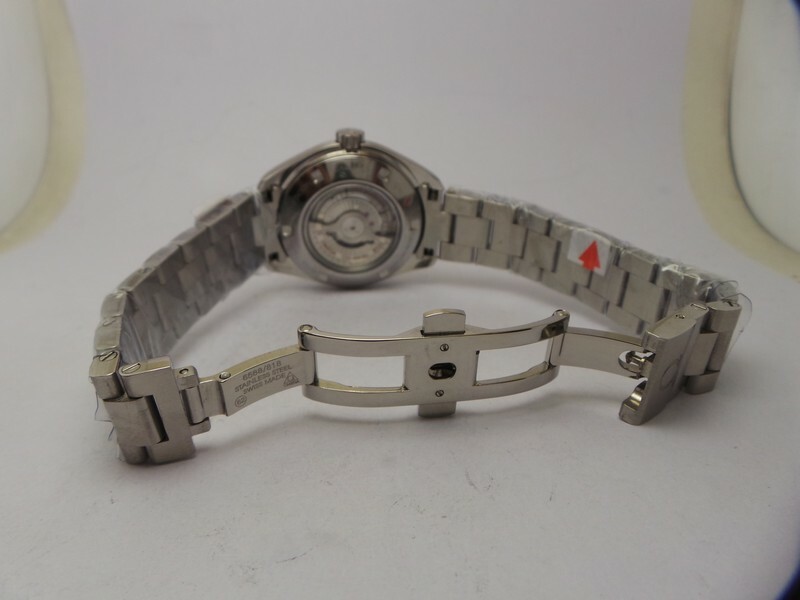 The replica watch feels so comfortable and the steel bracelet is really suitable to wear in summer, I did not adjust the links of the bracelet, it fits my hand perfectly. 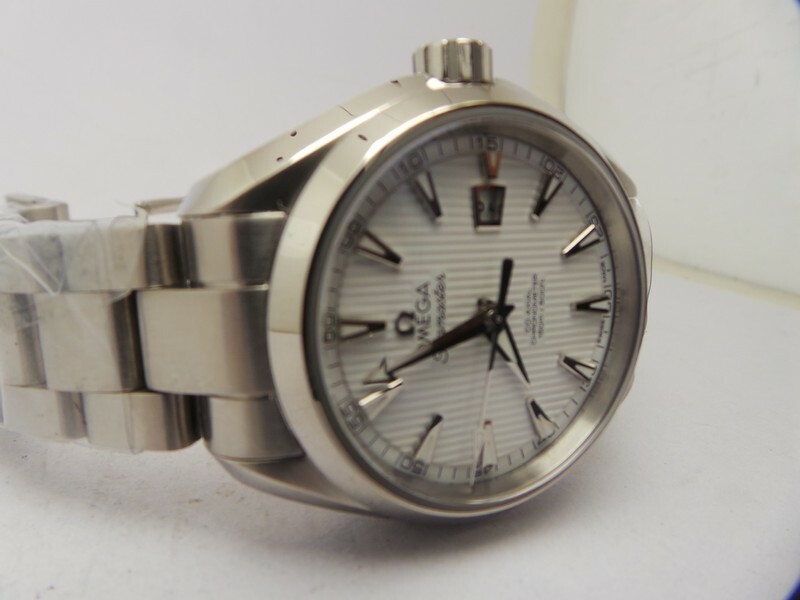 The most attractive place of this Omega replica watch lies in its dial, it is black with italic 007 lettering, the hour markers have white luminescence coating that is surrounded by silver corner. 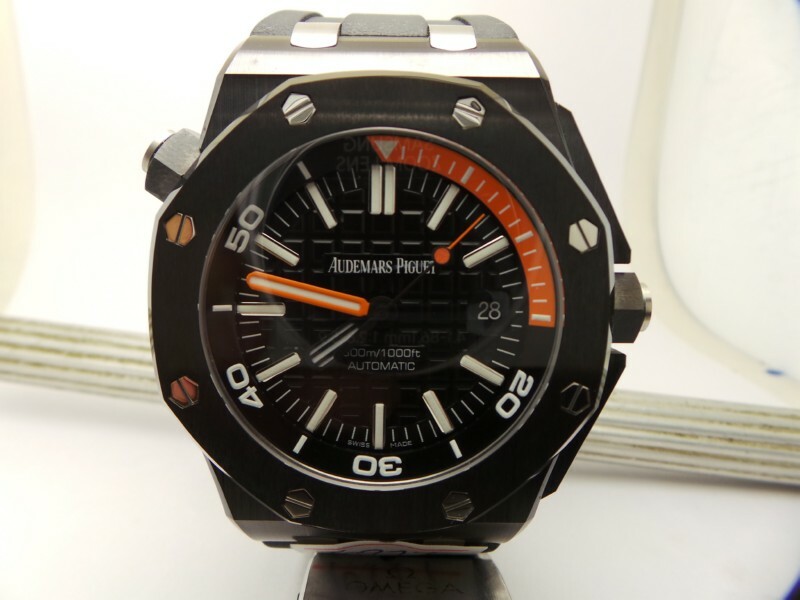 Slender second hand has red tip, date window is positioned at 3, it has white font in black background. The bezel pearl looks the same as genuine, bezel markers have right engraving depth that you can feel as real when touching by hand. 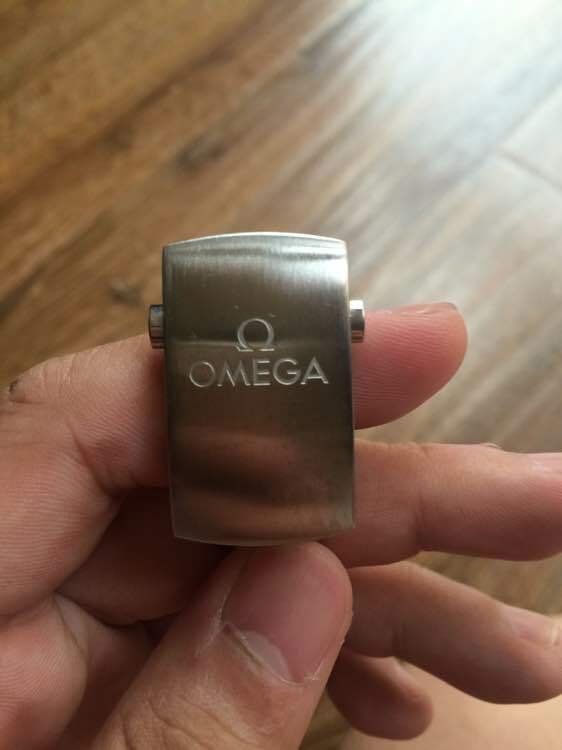 In a word, the replica Omega watch has good quality and hand touch feeling, it is comfortable to wear, the movement inside has turbo decoration, the axis of the auto rotor has words JAMES BOND 50 YEARS, when viewing the movement, you can see the place that connects the case and bracelet, it is fixed in proper place and the pin is solid. 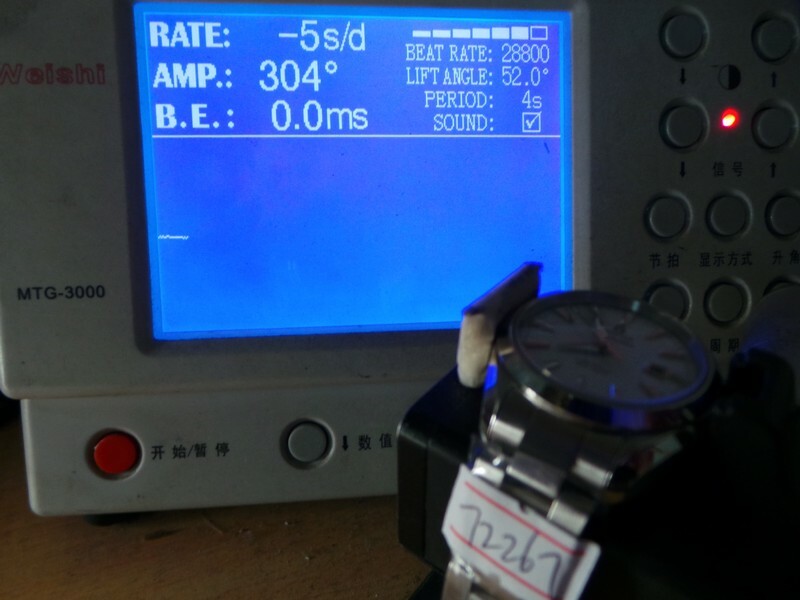 Although the replica Omega uses Asian clone ETA movement, it has made a great progress in polishing, the accuracy and stability are also improved. Check the lugs carefully, you will see series number engraved. 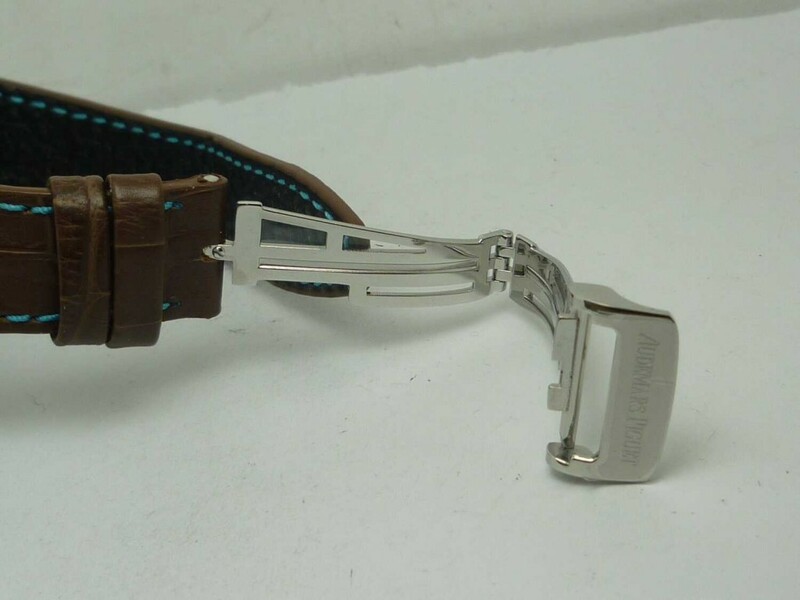 The logo on the buckle is made very close to genuine watch, the engraving has a certain depth, not like other poor replicas that have a shallow engraving. 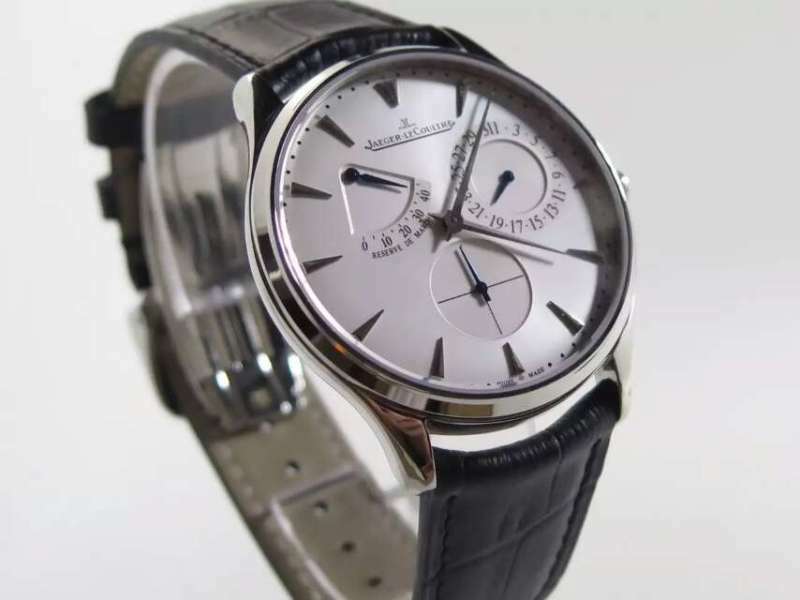 Sometimes I hate replicas that only last for several months, but good replica watches are really worthy their price tag.